A number of our products, whether purchased through our catalog or our website, require additional information to be submited for engraving, printing, etc. Use the following choices to submit the additional information for your order. NOTE: You must place an order for the items via phone, mail, fax or our online store, before submitting the Custom Info. Submitting custom info without first placing an order may delay the processing of your order. If you have purchased products that require engraving information, and did not include the engraving information with the order, click here now to enter your engraving information. If you have purchased Personalized Flags and did not submit the custom information with the order, click here now to enter your flag information. If you have purchased Custom T-Shirts and did not submit the custom information with the order, click here now to enter your custom t-shirt information. If you are having screen printing on your Uniforms/Warm ups, please click here for Silk Screen Printing & Shipping Information. Our Signature T-Shirts have special instructions that need to be completed before your order can be processed. Click here to retrieve the special instructions for our Signature T-Shirts. 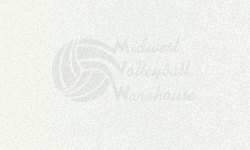 Copyright © 2008 by Midwest Volleyball Warehouse Inc.